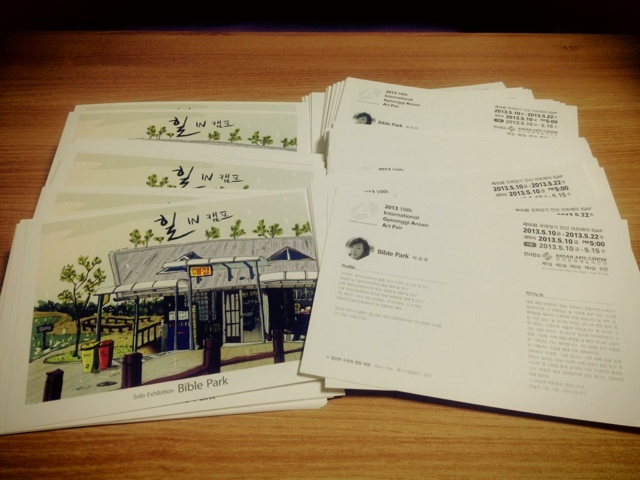 Bible Park : 2013.5.7.Wed. 2013 10th IGAF. My leaflet came..! 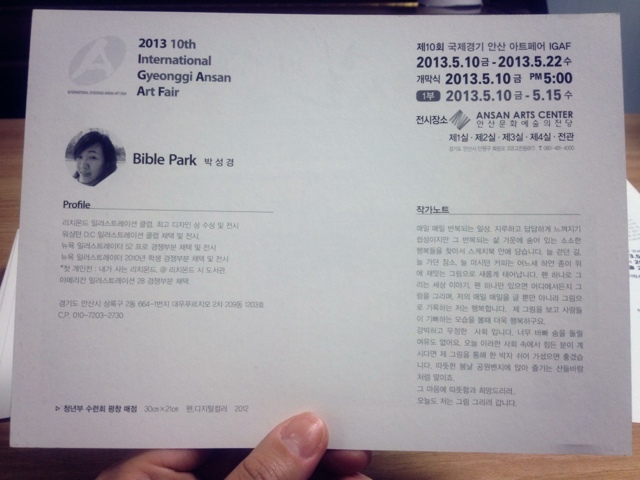 2013 10th International Gyunggi Ansan Art Fair(IGAF). 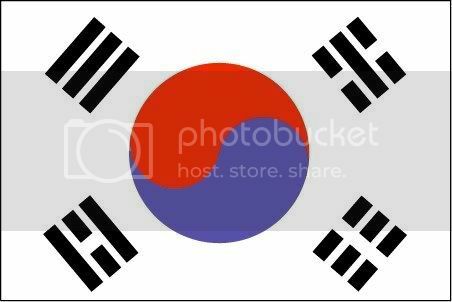 I will be participate as one of the artists, it will be held at Ansan Arts Center. My art word will be displayed @ Room 4, booth 4-7.